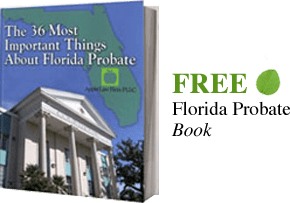 In Florida, an LLC, or a limited liability company, is an excellent way to own a company that also offers asset protection, tax reduction, and reduces liability for members or owners. A client can be eligible for these benefits if the company is structured as an LLC by a top Jacksonville asset protection attorney. One reason corporations were originally formed was to allow a separate entity to own assets and to operate a business to shield the owner’s personal assets from creditors of the business. Florida limited liability companies are business entities ruled under Florida chapter 605. The law concerning limited liability companies has changed in significant ways, and the Florida legislature even rewrote the law in 2013. A manager controls and directs the LLC’s business affairs much like the CEO of a company. All of the members of an LLC hold the investment interest. Members can invest initial capital, and receive gains or losses from the business. A person can be both a manager and a member or the LLC. An LLC can be a great tool for asset protection and tax planning when a business owner transfers assets from his or her name into the name of the entity. The LLC is great for asset protection because legally the entity owns the asset, not the person in charge of the LLC. The LLC itself incurs any liability through the ownership and operation of the asset, such as a business. This creates a clear divide between the assets owned by the LLC and the assets owned by the manager or member of the LLC personally. These assets are safe from creditors. Forming an LLC can be a tricky process that should be left to an experienced business attorney here in Jacksonville, Florida. The first step to creating an LLC is to prepare and file an application with the Florida Secretary of State. Next, the applicant files an Article of Organization, which outlines the rules of the LLC. It is also important to search on the Secretary of State’s website to ensure another LLC has not already taken the proposed name of the applicant’s LLC. The application also requires the applicant to designate a registered agent of the LLC. This agent is the person, or entity, that is authorized by the applicant to receive complaints from a plaintiff. The Article of Organization also lists the name of the LLC’s manager. Persons that are members of the LLC, who are not also managers, do not have to be listed on the Article of Organization. An LLC is formed once the Secretary of State accepts the Article of Organization and the filing fee. The next step is to form an Operating Agreement for the limited liability company. This agreement expresses the financial and legal agreements amongst the members. Details of this agreement might include each person’s initial capital contribution and each person’s share of the profits and losses of the company. In 2011, the law regarding single-member LLCs changed significantly. Before the Florida Supreme Court decided the case of Federal Trade Commission v. Olmstead, 528 F.3d 1310 (11th Cir. 2008) a single member LLC had the same asset protection as a multi-member LLC. This is no longer the case, and creditors are now allowed to attack a debtor’s interest in a single member LLC through foreclosure and collection. A Multi-member LLC prevents debtors from foreclosing on a debtor’s interest in an LLC because creditors are limited to charging orders, which are essentially just liens. This recent case law suggests that every LLC should be a multi-member LLC for the most asset protection. This means an LLC should have at least two members. So far there is not much case law on how much the ownership should be divided. We recommend the second member of an LLC have at least 5 percent ownership interest. A single member LLC can also be converted into a multi-level LLC if a second member pays fair market value for the ownership interest. In many instances a asset protection trust in Florida can be a better option for protecting assets in Florida.